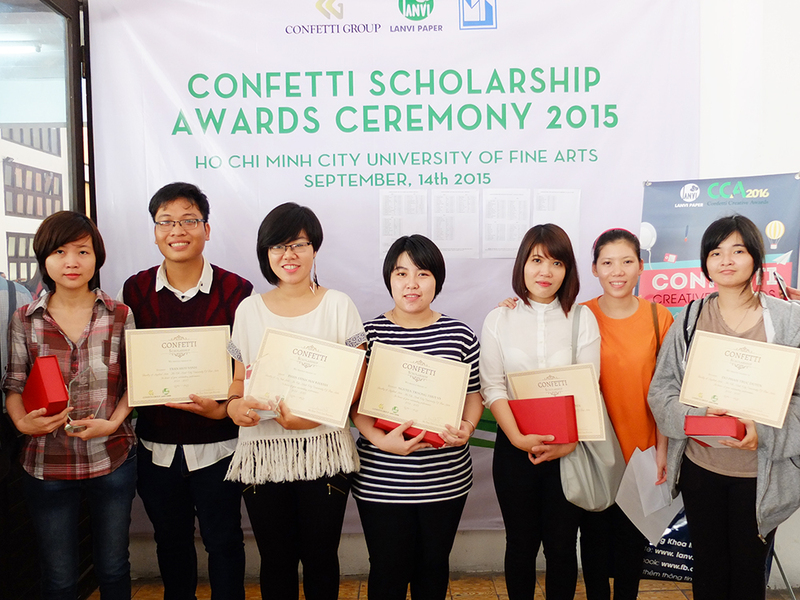 On September 14th, 2015, 8 Confetti Scholarships were presented to students from Faculty of Applied Arts (HCM University of Fine Arts). 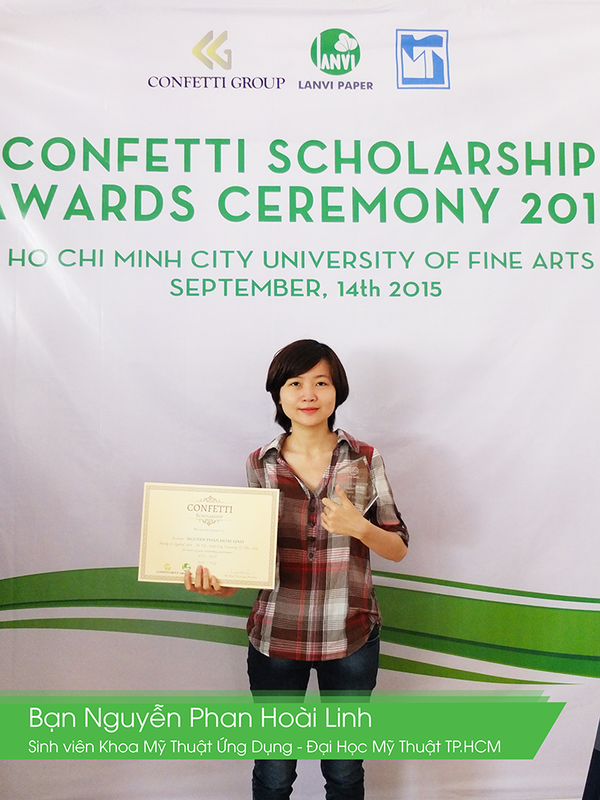 Confetti Scholarship is an annual activity of Lanvi Paper for giving financial aid for students who are studying Graphic Design in universities in Vietnam, and have good result in study and social activities. 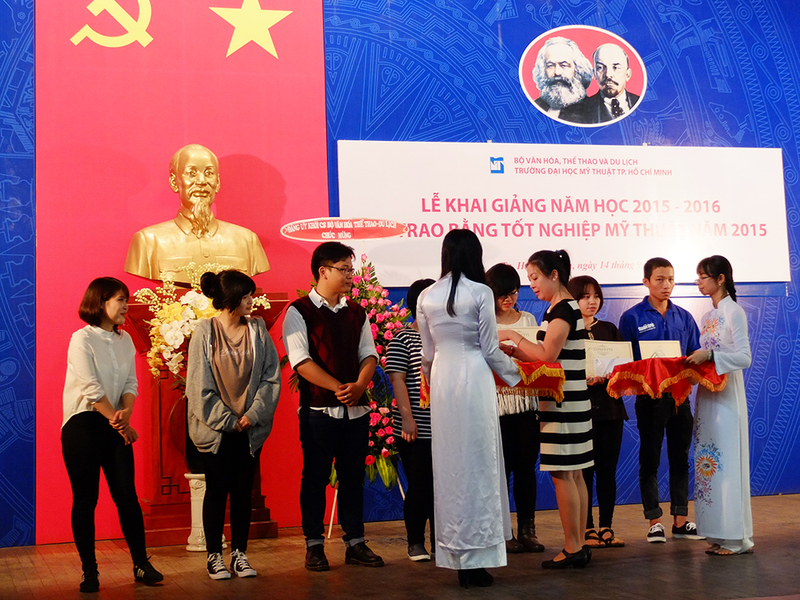 Each scholarship values 5 million VNDs. 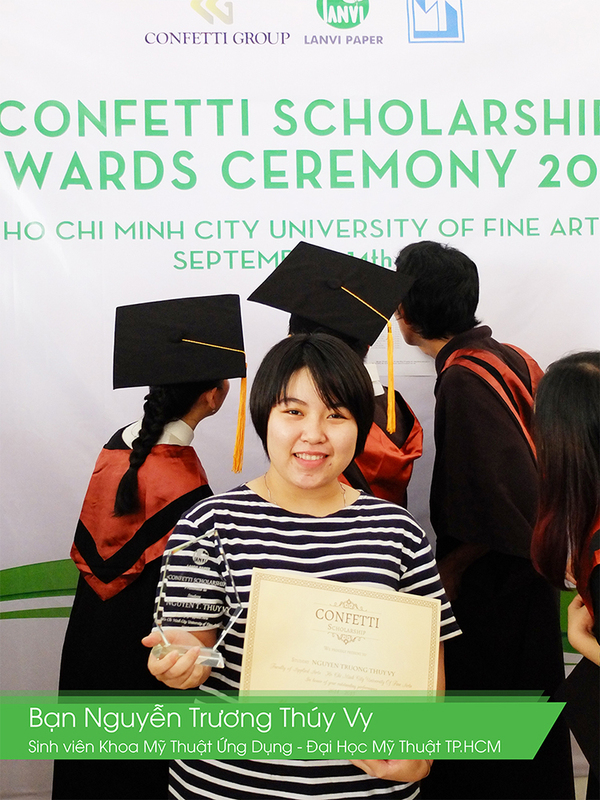 Phan Dinh Mai Khanh – a Confetti Scholarship student said: “I am so proud and happy because my efforts have been supported. It is a motivation that inspire me a lot in my study. 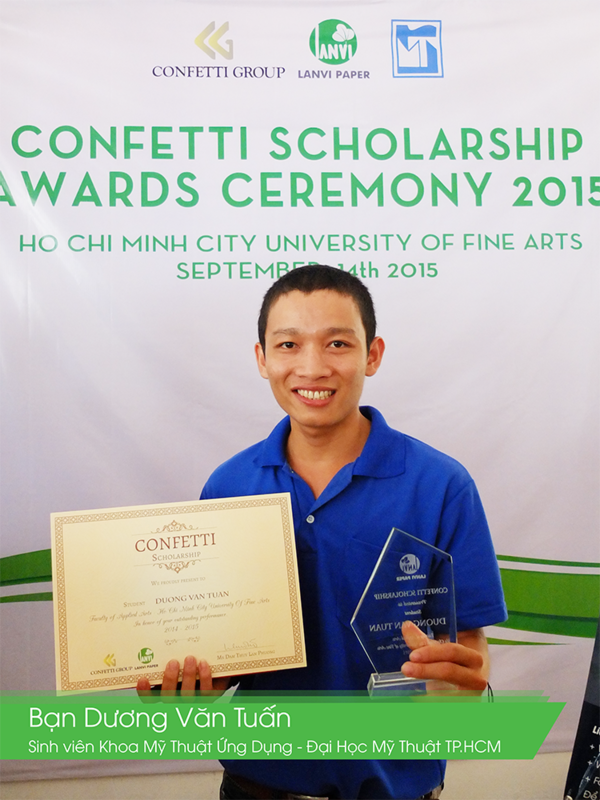 Confetti Scholarship make me feel like my achievement have been recognized”. 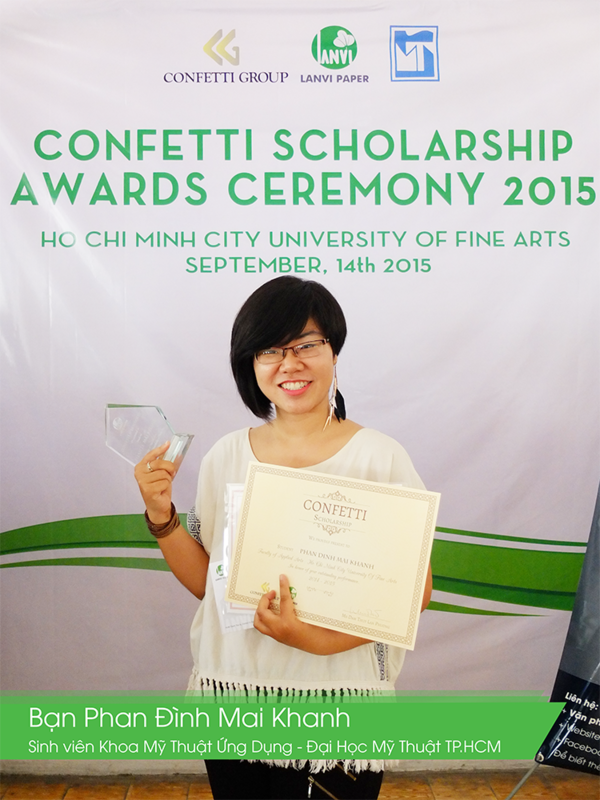 She intended to use it to pay her tuition fee and buy course book. 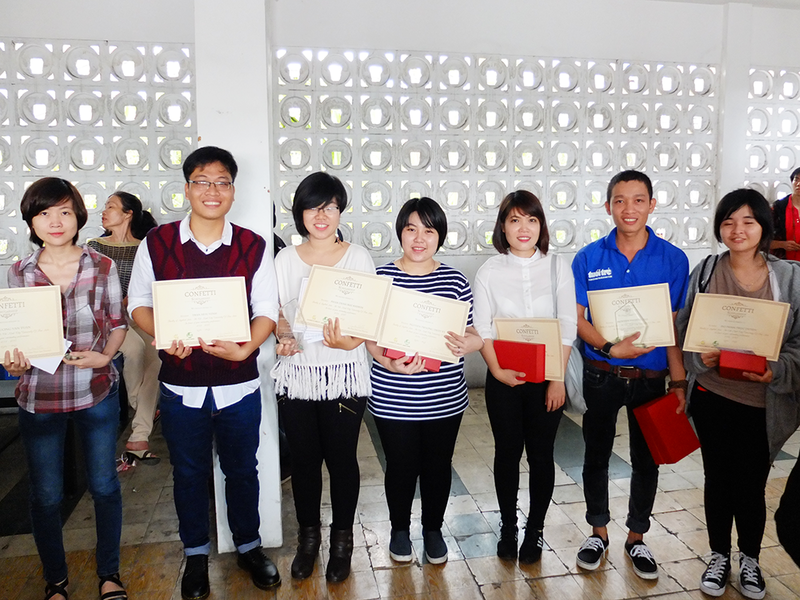 Next month, Lanvi Paper will present scholarship to students from Faculty of Graphic Arts and Design (HCMC UTE). 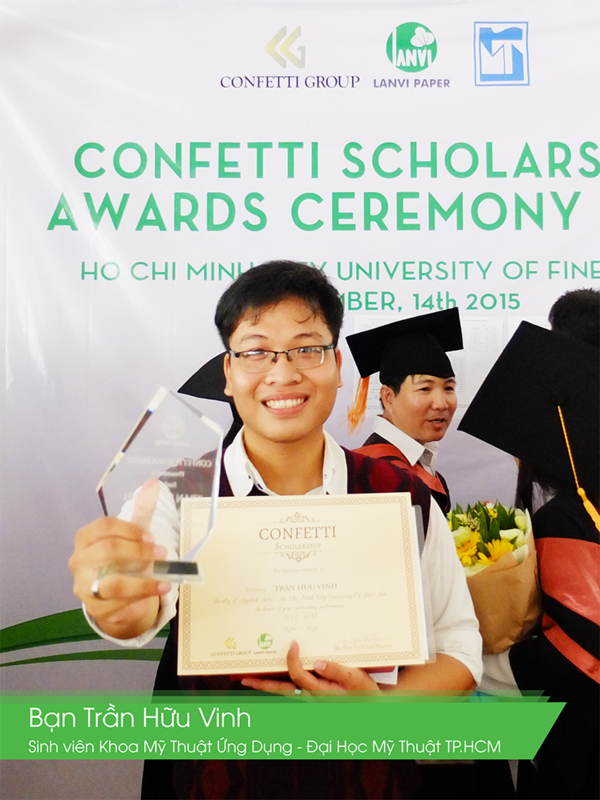 Some photos from Confetti Scholarship Awards Ceremony 2015. 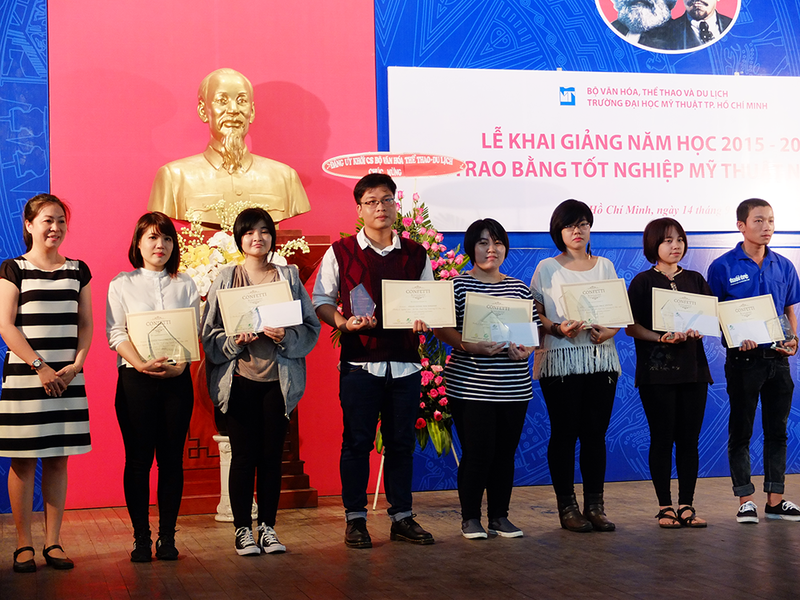 Giấy Lan Vi | Lanvi Paper – Students who received scholarship from Lanvi Paper this year.